I want to clarify the difference between the confusing words careless and carefree. It’s easy to mix them up, but they have quite different meanings and connotations. 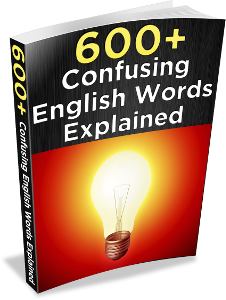 There are a lot of English words that can be confusing for students who are learning the language, and that’s why I wrote the e-book 600+ Confusing English Words Explained – to teach you the differences between similar – but different – words such as averse and adverse, specially and especially, and many more. I lost points on the test due to some careless grammar mistakes. 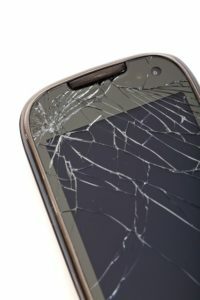 Don’t be so careless with your cell phone; you might break it. Being careless is a negative thing. Companies don’t want employees who are careless about their work, because it means they won’t do excellent work. People who are careless with their words might make comments that hurt other people’s feelings, because they’re not thinking about or considering the effects of their words. If you had a carefree childhood, it means you enjoyed yourself because you didn’t have much stress or worry in your life. A carefree vacation would be a trip on which you stop thinking about work and other obligations. You can also describe a person as carefree or as having a carefree attitude, meaning that their personality is the type that doesn’t worry a lot. Being carefree is a positive thing. So to review – being careless is negative, it means not giving the necessary attention or thought to your words/actions. And being carefree is positive; it means feeling nice and light, without stress, worries, or heavy obligations. I hope this lesson has helped you understand the difference between careless and carefree!